Ever been roped into hosting a baby shower? Or even volunteered? They can be overwhelming, expensive, and very stressful. What they should be is fun and a blessing! 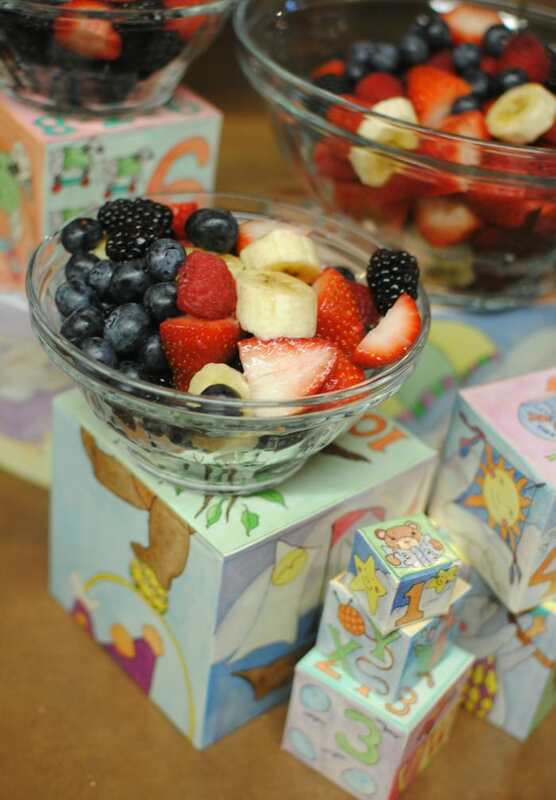 Here are a few tips and tricks for simple and unique baby showers. Knowing little about baby showers, I agreed to be one of three or four hosts with the caveat that I was really on a tight budget. Perhaps I should have been more specific with what “on a budget” meant to me. 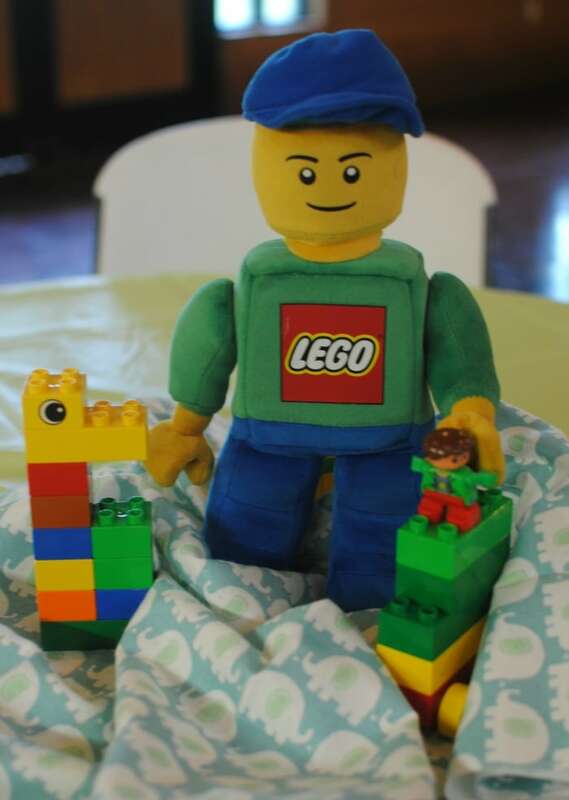 Perhaps someone should have warned me as to the undertaking that is a baby shower, but these were pre-Pinterest days and I was not interested in things like showers…or babies. Two weeks before the shower, the gal organizing called and said she had all the details down and just needed my $150. I about fell down dead. Doing the quick math in my head, I realized this was over 10% of our monthly income. 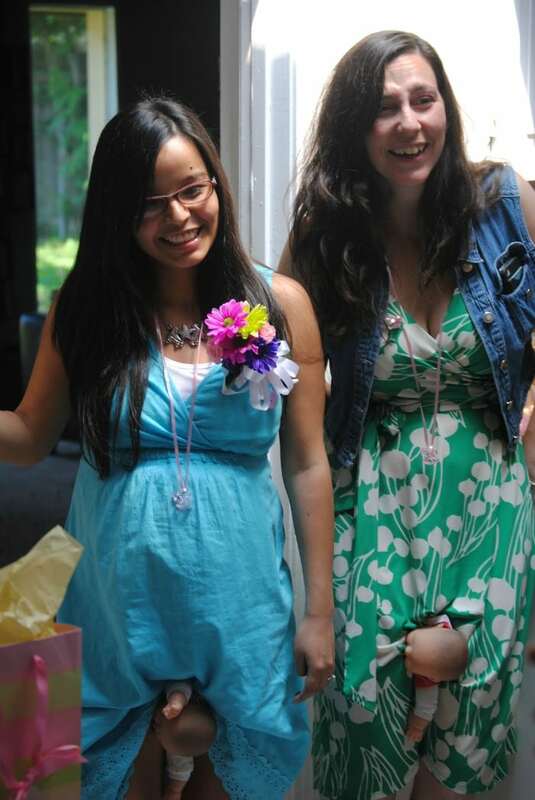 It also meant that in total, the four or so of us were spending over $500 on a baby shower. A shower. For a baby. This did NOT include gifts. Now that I’ve had a gaggle of kids (three is a gaggle, right?) and hosted my own fair share of showers, I know how the costs add up. (But I still don’t spend close to $150!) At that time, I volunteered to make a bunch of food that the other hosts had planned to order and pay for. The first of many times to come that I decorated sugar cookies. I have now thrown the typical baby shower, derby baby showers, and baby blessings. Here are a few tips and ideas that I’ve learned along the way to have a beautiful, simple, special baby shower that won’t kill you or your budget. A great idea for games and decor (and sometimes even food!) is to use what you have. 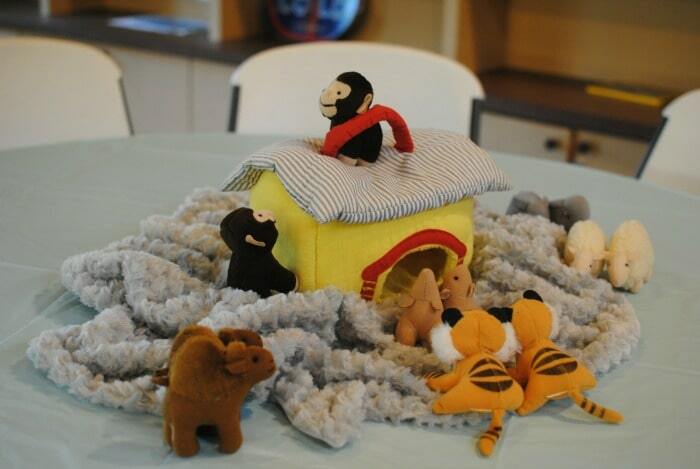 Classic baby toys, books, and even stuffed animals can make neat centerpieces. You might be able to use clothespins or other household items for games (see game ideas below) or tailor what foods you bring based on what you happen to have on had. At least that might cut down on your food budget! Look at these cute centerpieces and display ideas from my sister-in-law’s recent shower! A great money-saver is making food, gifts, or decorations. If you have a giant budget, of course, buy those pre-made cookies! But if you’re trying to be simple, on a budget, and even maybe do something special, make food or decor rather than spending money. For a baby blessing a few years back, I bought a really ugly thrift store wreath for a few dollars and then transformed it using what I had: coffee filters, craft paint, canvas, string, and a glue gun. I loved how it turned out and the mom-to-be got to keep it. Menu Plan Based on Sales. Try Creative Games That Don’t Require Shopping. There are some really fun games that DO require shopping (I love the match-the-candy-bar to the baby-related phrase game), but you can also go out of the box for some of these. Here are a few favorites that are either original or adapted for showers. Baby Things. There is a really fun game called Things wherein players have to think of creative answers for a certain phrase. 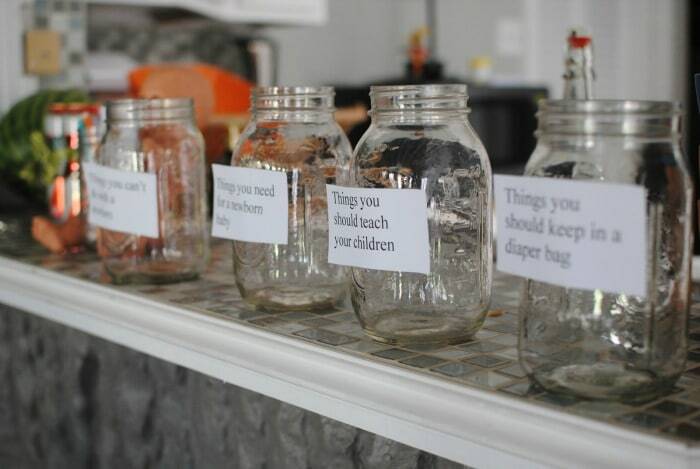 My version of Baby Things uses questions like “Things You’ll Miss” or “Things That No One Tells You.” Have a jar or bowl near the food with scraps of paper and pens. Encourage Humor and maybe give an example. “Your sanity” might be a great example for the first question. Guests write down an answer but not their name. The guest of honor will later read these answers out loud and pick her favorite for a prize. Don’t Have a Baby. This game requires a special crowd, but I promise is so much fun and a great way to break the ice. Collect or borrow large baby dolls. Each guest receives a baby doll when they arrive and must walk around with the baby doll between her legs. The object is NOT to have a baby. The last guest who still hasn’t “had” her baby wins. This is especially fun for photographs and really does get people talking and laughing. Of course this game was invented at a derby baby shower. Does it get any better than this? Hot (Baby) Potato. Using a large baby doll, play a game of hot potato with the group. One player starts and names something baby related, then tosses the baby to another guest. That guest has three seconds to come up with another baby-related thing that has not been said. (Think: diapers, teething, bottles, nursing, onesies, etc.) Anyone who repeats or can’t think of anything is out. Diapering Race. This one might require some supplies in the form of actual diapers (which I hate to waste), so for the most cost efficient way use cloth diapers that you either bring from home, borrow, or even buy for the guest of honor if she’s into that. Collect baby-ish sized items and have two or more ladies race to diaper them all. Think: a watermelon, throw pillows, large cans of beans, 2-liter bottles of soda, baby dolls, etc. The fastest diaper-er wins a prize. What are these prizes? You might be thinking to yourself. This all depends on the type of shower, but I think there are lots of reasonable options. A $5 gift card to Starbucks. A cheap bottle of wine (or large beer) with a bow. A nice journal & pen. Candy. Anything simple and inexpensive works. 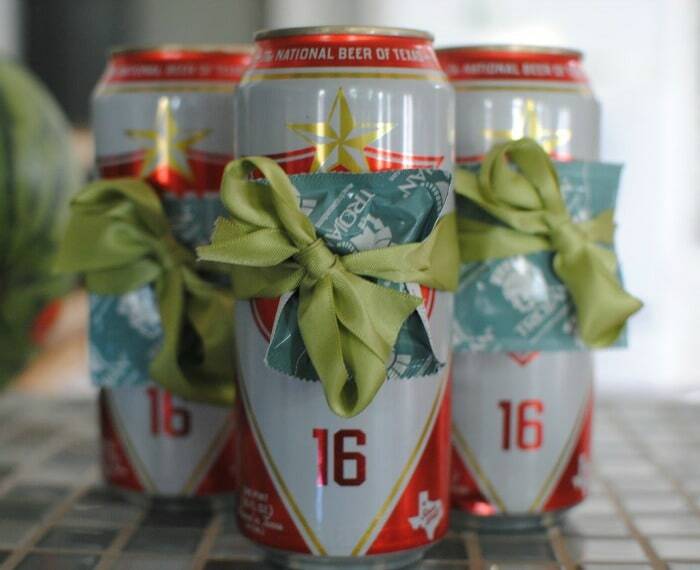 Think of your audience: beer and condoms with a bow is perfect for a derby shower, but might not be at something like a baby blessing. Don’t over-think it or set some standard you must live up to! This is part of the problem. We often go on Pinterest, see these lavish things, and think we have to recreate that same thing. No. Take the inspiration and do it your way. It’s not a contest of who can throw the best baby shower. You are doing this for someone you probably love and think is special. Keep that in mind. This is to bless her with love and shower her with gifts. Not make the most Pinterest-worthy cupcakes. Take inspiration where you find it, but tailor the ideas to suit you, your budget, and the mom-to-be. What are your tips for throwing simple and unique baby showers? Any games you’d love to NEVER see again? (For me it’s the candy bars in the diapers—ugh!!!) I’d love to hear your thoughts in the comments! Totally snorted a Don’t Have a Baby. That will exist sometime in my future, somehow, some way. Of course you derby girls thought it up!! place elxe maay just I am getting that kind of info written in such an idwal means? here frequently. I’m rather sure I will be informed plenty of new stuff right here! Skip the games! Our baby shower was coed and everyone had a great time talking and eating. But some of these are cute! It used to be considered bad manners for a family member to throw a shower because it might seem like you’re asking for gifts. But these days, just about anything goes. Any relative, close friend, or close co-worker should feel perfectly okay about planning a baby shower.